Build an advertising package tailored to your needs. Explore our wide range of print, web, and audio advertising options below. We’ll help you target the right platform and publication for your message. 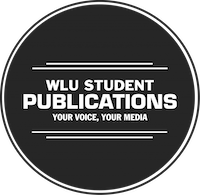 Ads of various sizes are available for placement in The Cord, The Community Edition, The Sputnik, Blueprint Magazine, The Carnegie, Keystone, and Wingspan. Our readers are, more than ever, getting news online. Target them with relevant, local advertising. Students will carry the WLU'er around with them all year long. We offer unique ad placement opportunities for this daily planner. Reach people listening to our 24/7 streaming radio station.